BE/ BTECH (Electronics & Communication/ Computer Science/ Information Technology) required in Indian Bank. About Indian Bank: A premier bank owned by the Government of India • Established on 15th August 1907 as part of the Swadeshi movement, • Serving the nation with a team of over 19300 dedicated staff, • Total Business crossed Rs.1,81,530 Crores as on 31.03.2011, • Operating Profit increased to Rs. 3291.68 Crores as on 31.03.2011, • Net Profit increased to Rs.1714.07 Crores as on 31.03.2011, • Core Banking Solution(CBS) in all 1867 branches. Education: BE/ BTECH (Electronics & Communication/ Computer Science/ Information Technology) with 50% marks from a recognized University. At least, 8 years in Information Technology Section in Scheduled Commercial Bank, PSU, Government or major Private sector organization. 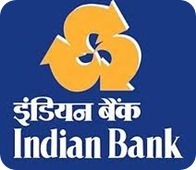 Indian Bank: Probationary Officers Vacancy | BE/ BTECH Recruitment | Government Jobs October 2010 | Apply Online Between: 12 October, 2010 – 11 November, 2010. Indian Bank | Assistant Manager Recruitment | Govt. Jobs | Last Date: 30 July, 2014 | Apply Online. Indian Bank | Recruitment IT Officers | Last Date: 05 September, 2012 | Govt./ Bank Jobs | Apply Online. Posted in Apply online, Computer Science, Electronics and Communication, Government Job, IT, Job After Btech, With experience. Tags: 2011., Apply Online Up to: 03 June, Chief Manager Vacancy, Government Jobs, Indian Bank on May 18, 2011 by kavita joshi.